Picture courtesy of The Academy of Arts. For more pictures, visit their wesbite. The Academy of Arts purchased the Taylors High School buildings in 1987. 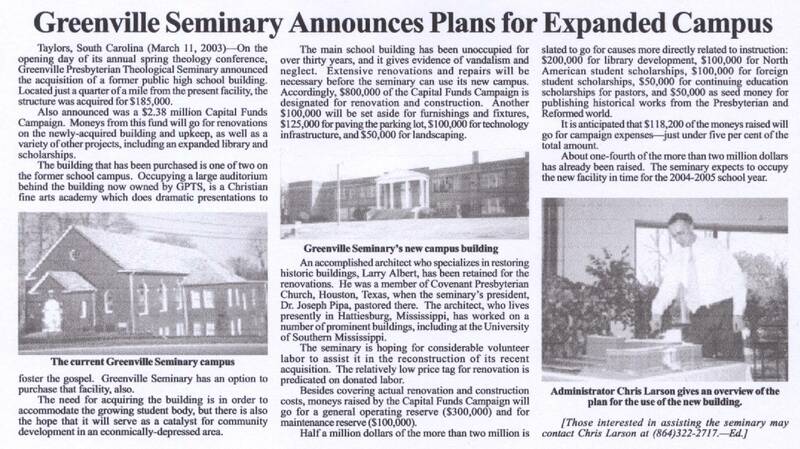 In 2003, the Greenville Presbyterian Theological Seminary purchased the main school building from the Academy. 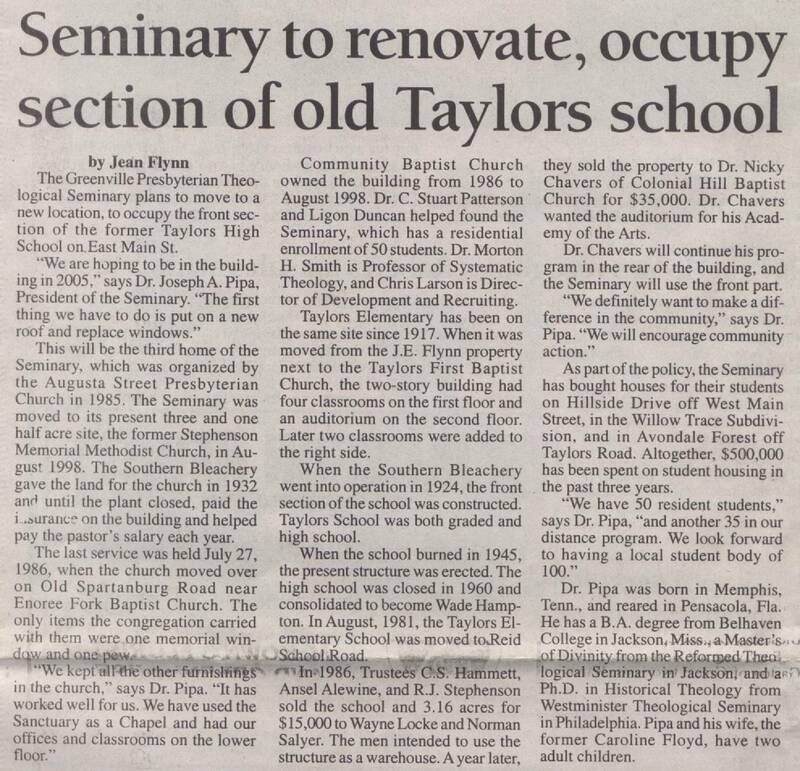 Both schools then began renovations. A sketch of the former Taylors High School and a conceptual rendering of the renovated building.